One of the benefits of being the wife of an itinerant United Methodist pastor is getting to meet new people everywhere I go. Seriously, everywhere. Grocery stores, outlet malls, coffee shops...my husband and I strike up conversations, or respond to others' questions, almost anywhere. It's so humbling to be an ambassador for Christ and his church. So, here's your chance. 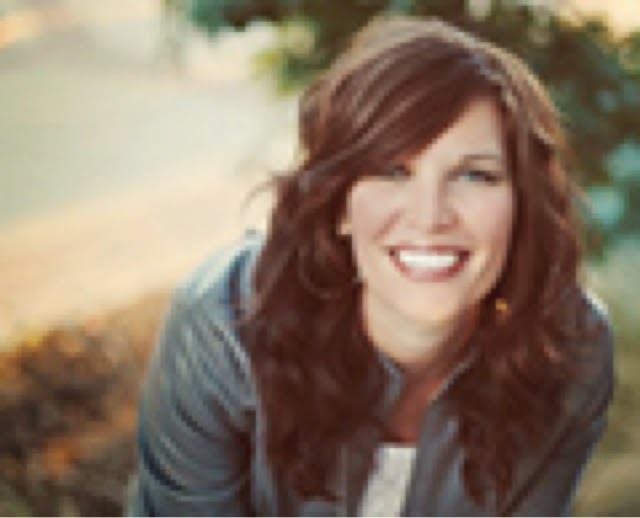 Any burning questions you want to ask a pastor's wife? I'm not shy (you probably already knew that) but keep'em clean and appropriate, of course. Post your questions in the comments. I'll respond to them next week in my blog post. I hate that I need this book in my life. But I love that I found it. Jen Hatmaker is one of my favorite authors. 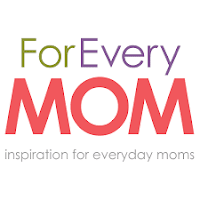 I follow and share her blog posts regularly. She is relatable and funny and cute and convicting. She's the kind of gal I could have over for coffee and chat with for hours. If she weren't all the way in Texas, that is. Jen is an accomplished writer, speaker, and mother of 5. 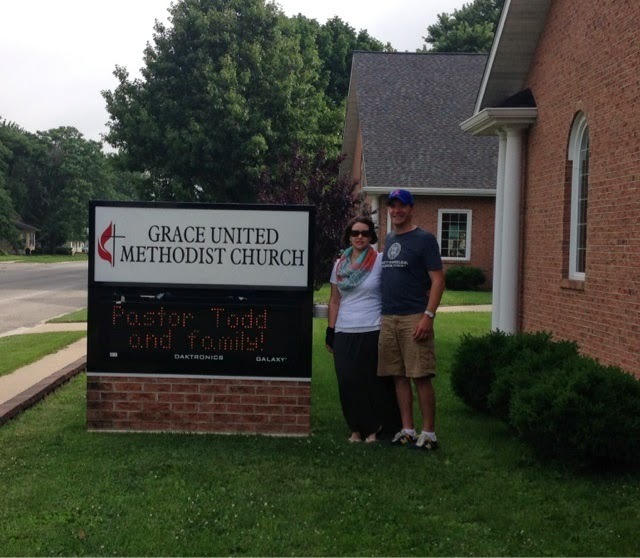 Together with her pastor husband, Brandon, they started Austin New Church in Austin, Texas. 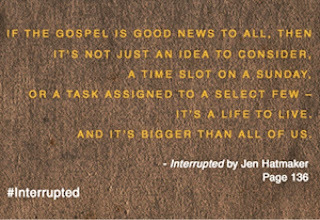 Interrupted follows Jen and Brandon as they go through the process of leaving a lucrative position at another church in Austin to tread the uncertain path of planting a new church with very little direction other than the following verses from the Bible: Matthew 25 and Isaiah 58. Go ahead, look them up. Start with Matthew 25:34:40. Then read Isaiah 58:6-9. I use The Message translation quite often, but you know what? No real need to clarify Greek or Latin word roots here, friends. In any translation the meaning is clear: Care for each other as you would care for yourself. Give special attention to the least among you. It's pretty much all Jesus ever talked about. But is your church doing that? Do you feel it at Sunday morning worship? In your weekly Bible study? In your private prayers? Are you truly serving the needy, or serving the already saved? Yes, our churches do good in our communities. No doubt, no argument. We might even baptize new members from time to time or welcome visitors. 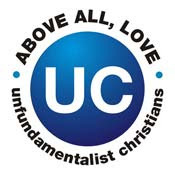 But in a postmodern world where more and more people grew up unchurched or are suspicious of organized religion, I don't think our church model is winning hearts and minds for Christ like we think we are. And I think it all goes back to Gandhi's quote: "Your Christians are so unlike your Christ." Because, friends, we are not living the mission Christ set out for us. We all too often stay in our little bubbles, among people just like us, watching the suffering around us and feeling overwhelmed into inaction. We put all our hope in our Sunday worship service (or Bible study, or women's group, or prayer team meeting...) to fill us up, but it doesn't. And it won't, until the served start serving others. I know this because I live this. And it's time for a change. The people who truly need us and our church? They may never walk through our doors. We need to go to them. 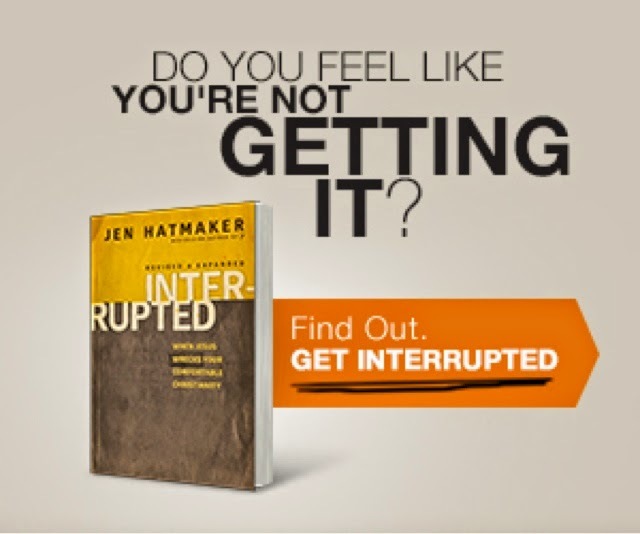 Jen Hatmaker writes in Intertupted, "Love has won infinitely more converts than theology...your pastor or your church can never reach your coworker like you can. They do not have the sway over your neighbor who has been entrusted to you. No one better than you can love your wayward brother. One decent sermon cannot influence a disoriented person in the same way your consistent presence in her life can." "We can continue to invite unbelievers to church, but we must first invite them into our lives. Have them over, go to dinner, welcome them in. Create a safe place for them to belong without agenda; they needn't worry about following our Christian rules yet (or pretending in front of us). We must become their advocates, embracing them as dear friends so they might one day feel comfortable belonging with us. This is not a strategy for rapid church growth, but the patient hard work of love is the way of Christ. It is the subversive path into the kingdom." And it's exactly what Jesus did. He ate with tax collectors and prostitutes. He hung out with smelly fishermen. He became their friend first. Can we Christians be more like Christ? Let's prove Gandhi wrong. This book is especially convicting for me because of our family ministry. I'm happy to try to be an example for the members of my congregation and community. And I'd love to sit down with anyone who will listen and talk about this book. I'm even willing to spot you the book. It's my first giveaway! 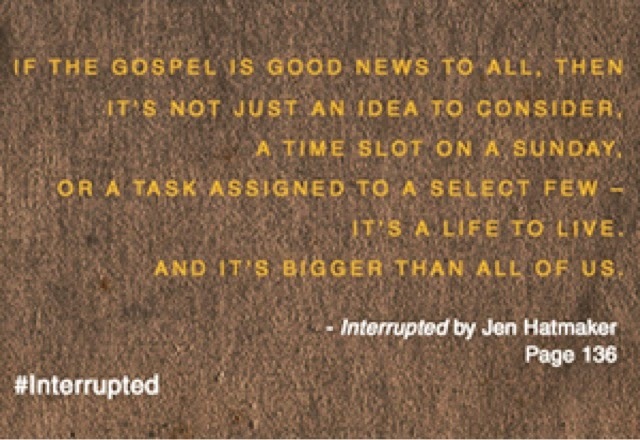 I'm giving away a copy of the newly revised and expanded Interrupted by Jen Hatmaker. To enter, comment below (not on Facebook, please comment directly on the blog). Tell me about the best thing your church does to reach out to your community, not just your members. Or tell me about something you do personally to reach out to people outside your church. I'll randomly choose a winner from the posted comments on Wednesday, August 20. We've been in Neoga for a month now. 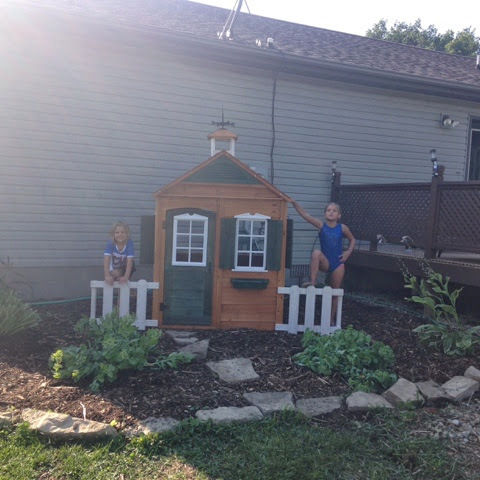 The boxes are emptied, pictures are hanging on walls, paint colors are being discussed, landscaping is trimmed. We're back to sharing meals around the table. The house is becoming a home. The girls are adjusting well. If you follow me on Facebook, you know that Harper's sleep patterns were seriously disrupted in the move, so I've been worn a bit thin trying to get things done with a very grumpy, teething baby (and on very little sleep myself). But I've found support with the other mamas at church. I am struggling with my next career move, though. Teaching jobs are in very short supply here. I've checked into teaching in the elementary education programs at the local community college and Eastern Illinois University, but enrollment is down and vacancies are few. So it looks like I'll be home again full time this year. But with Maddie and Ava in school full time and only Harper at home, I'll be able to get more involved in church and the girls' schools. That is, if I can get Harper to separate from me for more than 15 minutes at a time. The big girls are making friends. Maddie went to a 5 day sleep-away camp with the girls from church a week after we arrived in town. Despite my worries that she'd struggle while away from her mama, she more than exceeded my expectations and came home fired up and ready to go. She's been able to keep up with one of her friends back in Princeton through FaceTime, which has been a blessing when she's feeling lonely or left out. We're gearing up for the girls' return to school August 18. They've both met children from church their ages that they'll likely see in class. And both the elementary and middle school principals are members of our church. It does this mama's heart good to know that there will be extra sets of loving eyes on my girls during the school day. We're settling in to our new church, too. The welcome we've received is amazing. Meals, gift cards, play date invitations, listening ears, warm smiles--it's times like this that we feel affirmed and encouraged in our ministry. We're just getting started! 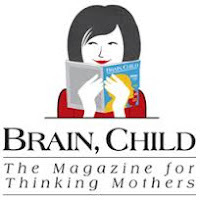 Thank you, dear readers, for your prayers and support during our transition. 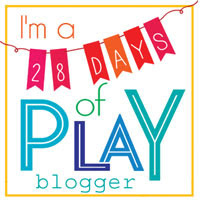 I'll be back next week with a new book review and my very first giveaway! Stay tuned!